Vehicle GPS tracking devices like the fleetminder FM Lite are available that will monitor the location and allow you to control certain security functions of your vehicle via SMS text commands or via live web-based tracking software. The real-time tracking functions built into the GPS tracking devices allow you to follow the exact location of your vehicle on a mobile device or computer and can send you warnings if your vehicle leaves that location. As the vehicle owner or authorised driver you can set these pre-determined areas such as a street parking spot, parking building, etc. Anywhere you think your vehicle will be at risk of theft. We already get discounts for having an auto alarm on our vehicles but now many insurance companies* offer discounts to customers that equip their vehicle with GPS tracking devices with tracking and security features. Real-time tracking and geo-fencing features on GPS tracking devices allows you to establish a perimeter (zone) where the vehicle(s) can be operated. This is the pre-determined areas we spoke of previously. The technical term is ‘geofence’. If the vehicle is stolen, and driven outside this geofence zone, the GPS tracking device can be programmed to send an SMS command to the vehicle owner’s mobile phone. The owner can then send a SMS back to disable the vehicle and allow it to be recovered. 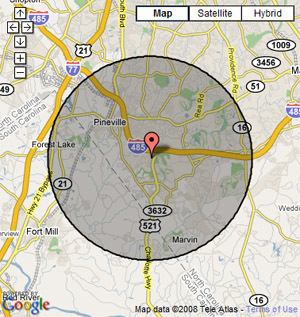 Multiple geofence locations can be set. Either temporary ones for parking the vehicle on the side of the road, or permanent geofence locations like the garage, or work car park. Either way, if the vehicle is moved and the goefence setting is active, the vehicle owner will receive notification that the vehicle has been moved and they can take prompt action to aid in it’s quick recovery. And due to advances in technology and manufacturing, GPS vehicle tracking has now become an affordable option for consumers and the small business market.